Injection Moulding & Plastic shopping bags manufacturer UAE, Saudi Arabia, Dubai, Sharjah, Ajman, RAK,Abu Dhabi,Dmam. calibrate IML shapes, economic short run labeling and function specific IML! Current films or bags available are not ideally suited to your requirement? Do you have a technically specific film application or problem that needs to be resolved? Or how about an idea that would make operation much more efficient? down gauge most legacy LDPE and LLDPE applications by 15-35%. Established in 1988, Aalmir Plastic Industries LLC (API) has been actively catering to the plastic manufacturing requirements of many small and large companies. API is able to manufacture injection molded parts for a range of requirements. Our vast experience in Injection molding and machine tonnage availability ranges from 60 to 1200 tons allowing us to cover most requirements. 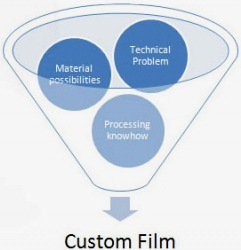 API manufacturing plastic films via the cast extrusion and the blown film processing methods. The company continuously invests in latest machinery to ensure that films are produced cost effectively and with precise tolerances. API product development and design team has vast experience of product development and is exposed to many different applications and industries. We developed a workflow that ensures a smooth and well-developed process plan for projects.